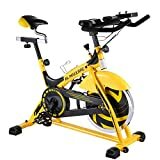 Why should you choose a stationary bike? Are you looking to work out regularly, but tend to skip your routine because you are too lazy or too busy to go to the gym? Are you concerned about weight loss, but don’t find time for exercise? Well, a stationary bike can solve your problem here. 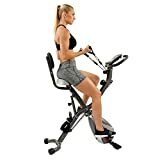 Stationary bikes have been in use for decades—they provide an alternative to the gym, while many people find it more convenient to workout in their homes rather than at a gym. 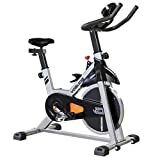 However, there are quite a few types of stationary bikes, so it is important that you choose the best stationary bike for you, based on your specific needs. 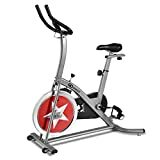 What should you consider when buying a stationary bike? 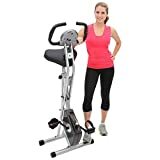 It is important for you to understand your specific requirements in terms of your exercise goals, and then to buy a stationary bike that serves that purpose. But there are other aspects that deserve consideration as well. 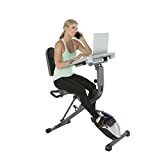 We have composed a list of important features, after having gone through thousands of reviews of on-line stationary bikes. 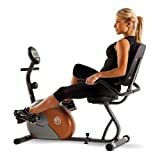 Here are some of the considerations that will help you choose the perfect stationary bike for you and your family. Consider your exercise goals: Ask yourself how often will you be using the exercise bike, and how hard you want to push yourself during your workouts. That will help you determine the exercise bike that matches up with your workout goals. 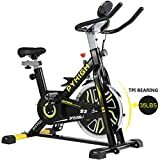 Check for the basic features of the bike: No matter how expensive or cheap you want your exercise bike to be, there are some basic features that you should not overlook. 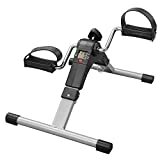 These features include an option to set the height of the seat, as well as an option to set different resistance levels according to your level of fitness. 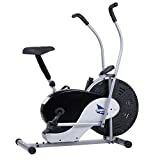 Check the amount of noise that the exercise bike makes: This may not really be a deciding factor, but if you have small babies or elderly people at home, you may particularly look for an exercise bike that is not particularly noisy.